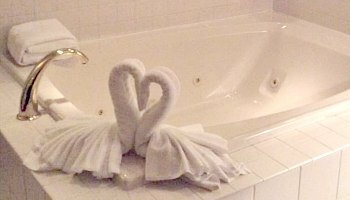 Enjoy Your Romantic Getaway or Honeymoon in a Hot Tub Suite in Chicago, IL. 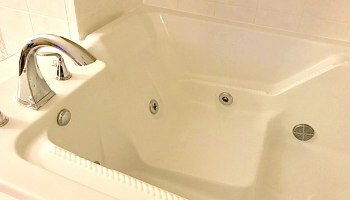 Chicago, Illinois is a great place for couples getaway, vacation or honeymoon, and we’ve got some top suggestions for hotel suites with Whirlpool and/or JACUZZI® tubs, both in the Downtown area as well as around Chicago’s suburbs, including the North Side and Schaumburg, IL. 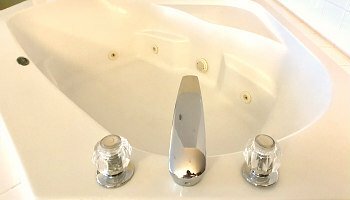 About this Guide to Chicago Hotel Hot Tub Suites: We research and hand-pick these hotel rooms ourselves, so you get a reliable and updated guide to only private in-room suites with jetted tubs, not a hit-and-miss listing of outdoor hot tubs beside a pool. 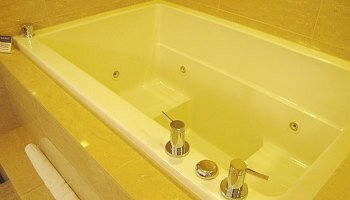 Chicago & Illinois Jetted Spa Tub Suites - check out more romantic hot tub bubbles in these hotels and inns in both Chicago and other destinations in Illinois, including Rockford, Springfield and Galena IL.